Geneva – On World Malaria Day (25/04), IOM, the UN Migration Agency, and other global partners are promoting efforts to tackle malaria, one of the oldest, yet most pervasive public health threats of our time. 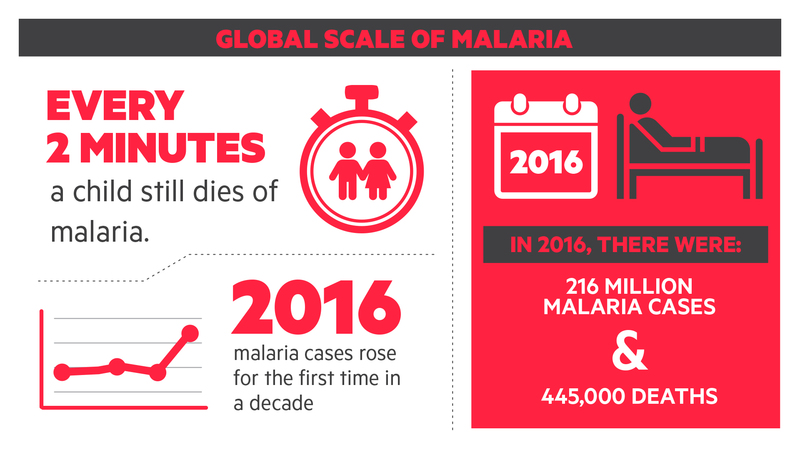 In 2016, there were over 216 million cases of malaria globally, 445,000 malaria related deaths, and USD 2.7 billion invested in prevention, treatment and elimination of the disease. Africa contributes to nearly 90 per cent of the global burden of malaria. “In the world today, an unprecedented number of people are on the move and migration can pose challenges to malaria control and elimination. However, we have the tools to beat malaria – and we will – with the partnership and action called for at the January meeting of African and world leaders in Addis Ababa,” said Jacqueline Weekers, IOM’s Director of Migration Health. 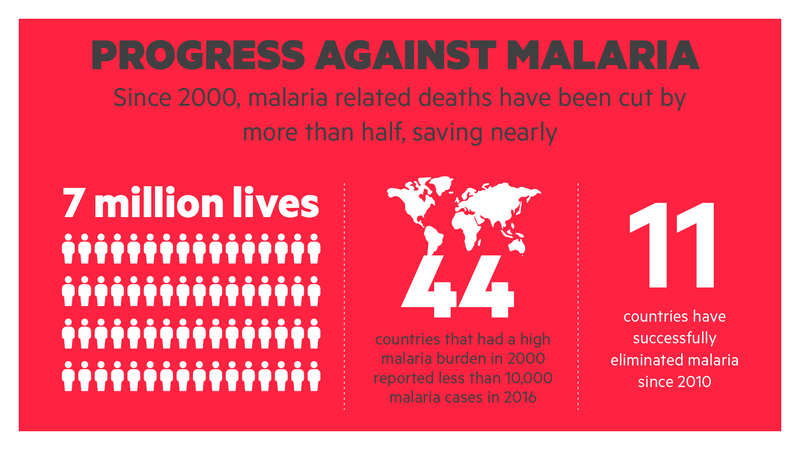 Malaria continues to be a global public health concern that disrupts development goal progress for many countries despite significant progress in reducing malaria cases and deaths around the world. Human mobility and migration pose as major challenges in malaria elimination and control. In today’s globalized world, an unprecedented number of people are on the move through multi-directional, seasonal or circular pathways within and across borders. Various factors include better opportunities, rapid urbanization, proliferation of mega-cities, and forced displacement due to armed conflict or climate change-included natural disasters, among others. Current reports indicate that there are 232 million international and 740 million internal migrants, and fifty per cent (50%) of them are women in the reproductive age group. People movement from areas of high transmission can result in imported cases and potential re-introduction of malaria into low-transmission or malaria-free zones. Migrants, mobile, cross-border and the internally displaced populations (IDPs) are key vulnerable groups who may be affected by malaria largely because they lack or have limited access to gender-sensitive and culturally-aware malaria prevention, treatment and continuum of healthcare support at points of origin, travel and transit, at destination and upon returning home. Collective efforts from both the health and non-health sectors such as transportation, education, social services, immigration, private sector, is critical in reducing the global disease burden of malaria. Key interventions in the fight against malaria must strengthen efforts to monitor migrants’ health and gather disaggregated data on malaria and population movements, support and implement evidence-informed advocacy and programmatic approaches to improve inclusive national and regional health systems and address varying levels of health seeking behavior, including risks of exposure to sub-standard drugs that may lead to emerging drug resistance. It is equally necessary to actively engage these communities to reinforce migrant-inclusive multi-sector policy development and resource mobilization. 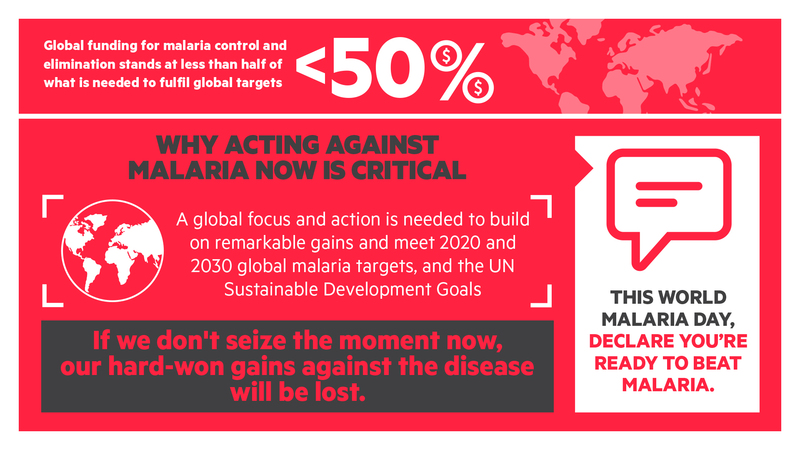 The WHO Global Technical Strategy Malaria 2016-2030, adopted in May 2015, provides a comprehensive framework for countries to develop tailored programmes to accelerate malaria elimination through the three pillars and the two supporting elements. The strategy is aligned with the 2008 World Health Assembly Resolution on Health of Migrants which called on governments and key stakeholders to, inter alia, “promote equitable access to health promotion and care for migrants”, and “to promote bilateral and multi-lateral cooperation on migrants’ health among countries involved in the whole migration process”, as well as the Roll Back Malaria Partnership (RBM)’s Action and Investment to defeat Malaria (AIM) 2016-2030 does since its approval in May 2015.